Following along on actor Joe Taslim‘s Instagram feed likely brought about some gems worth taking note of for his career post-Netflix’s release of The Night Comes For Us. 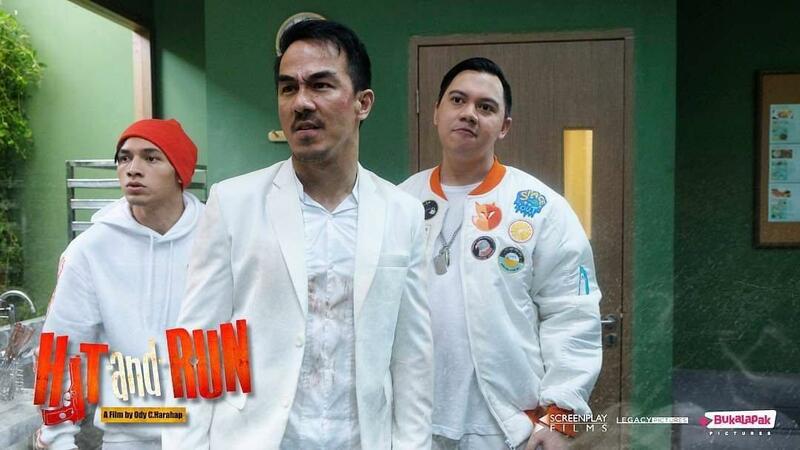 With any luck, director Timo Tjahjanto’s world-building affairs from that the blood-drenched action thriller will continue onward, while Taslim persists with other projects – namely the new action comedy, Hit N Run, from director Ody C. Harahap. As The Jakarta Post notes, the new movie hails from Screenplay Films and signals Taslim’s big screen debut playing Tegar, “a heroic police officer who has to collaborate with his friends to take down an all-powerful crime lord”. Also starring are Tatjana Saphira and Jefri Nichol, as well as actor and martial arts star Yayan Ruhian in reunion with Taslim since their blistering fight performance in Gareth Huw Evans’ The Raid. This also plays into The Raid star Iko Uwais’ own proliferation as a renowned fight choreographer and action director per his unit, Uwais team, who’ve progressed in recent memory on films including Headshot, and Tjahjanto’s The Night Comes For Us. Joining in on the action front are a reported number of martial arts athletes according to the report, namely listing the following: 2016 National Games Wushu gold medalist David Hendrawan who performed stunts in The Raid 2 and The Night Comes For Us, and played the shotgun assassin opposite Uwais in Headshot. 2018 Asian Games Ju-jitsu athlete Simone Julia will also make an appearance, as well as Joe’s brother, Peter Taslim who shares a few credits as well, including stunts in The Night Comes For Us, and also Harahap’s tenth film, Skakmat, which starred The Raid franchise co-star Donny Alamsyah. The report goes on to cite Hit N Run as a pivot away from darker roles for Taslim who also serves as creative producer and reportedly took no issue with switching it up some. “For me, when acting in any kind of genre, as long as we know the character’s background and script really well, it’ll flow naturally. In my previous roles, the characters were described as having a dark past or an explosive personality and I played them according to the writers’ wishes,” Joe said. “In most action-comedy movies, important elements such as drama or action are sometimes sacrificed for the sake of comedy. 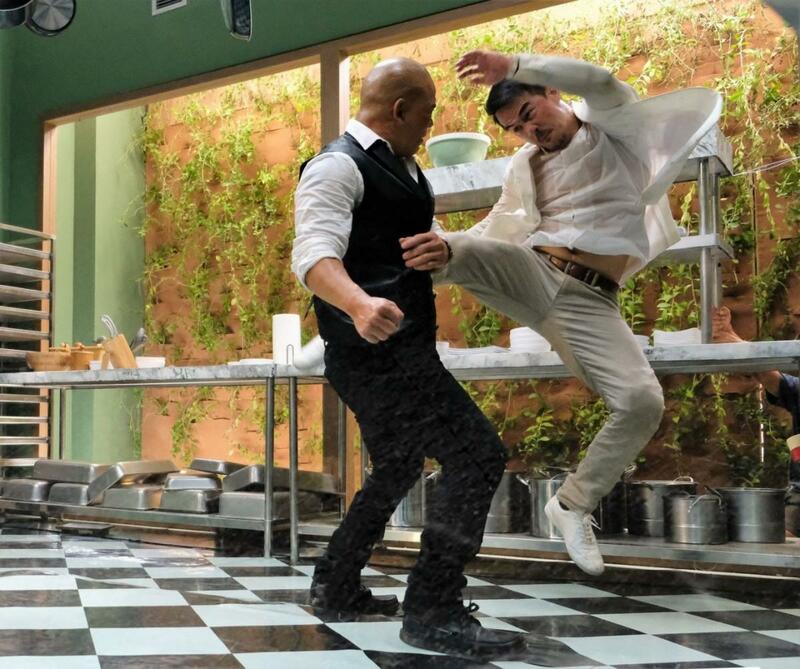 In this movie, we tried to make it funny and entertaining, but still deliver the action you need in action scenes,” Joe said. Hit N Run will release mid-2019. The aforementioned Nichols was also recently cast in an upcoming biopic centered on three-time IBF Super flyweight boxing champ, Ellyas Pical. Action star Uwais’ action direction will etch on the big screen next month with the release of Randy Korompis’ dystopian sci-fi action adventure thriller, Foxtrot Six from Mario Kassar. On camera, he’ll appear opposite Dave Bautista and Kumail Nanjiani in Michael Dowse’s action comedy, Stuber from 20th Century Fox in July, as well as Jesse Johnson’s action ensemble, Triple Threat in March, and in Netflix’s 10-episode martial arts drama, Wu Assassins. Beneath are just some of the first look photos now floating online which you can view below.